GenreOnline.net: Revolution: New Season, But No Better. 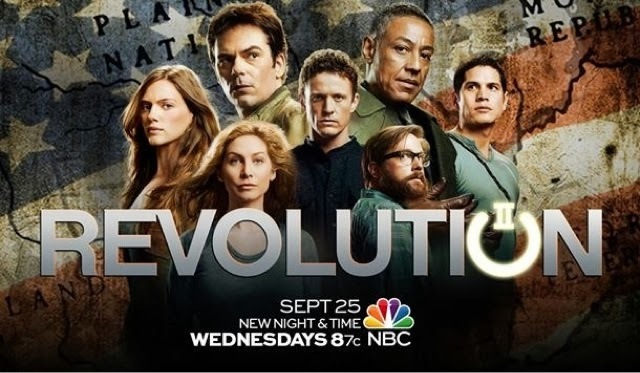 The second season of Revolution premiered yesterday on NBC and on it's new night, Wednesdays. Revolution is a show that I always was surprised to learn it got renewed for a second season because the first season for the most part felt like a dud to me. After the power goes out only the beautiful people who can make tight fashionable clothes and snappy haircuts will survive. The show was just never conceived in a realistic matter to me either. People were just too clean in appearance and the action was at times as lame as the flat stock characters. Yet I stuck with it and after a lengthy hiatus, Revolution returned in the spring for what would be an almost complete waste of time if you saw the first season since the person they were looking for for half a season got killed off in the beginning of the second and the conspiracy behind the power outrage was revealed and it was not at all engaging. Ultimately the season saw the power get turned on long enough for some nukes to get launched and some strange phenomenon to occur before the finale. The second season picks up months after the power got turned off again and now parts of America are suffering the after effects of nuclear fall out while unaffected nations are raiding defenseless city states. The returning cast finally look a bit more gritty compared to the first season, but now there are supernatural after effects that include a resurrection that pretty much makes Revolution feel like a different show, but not a better one. It reminded me of Seaquest DSV, which also aired on NBC in the 1990s and suffered from similar problems that caused each season to feel like a reboot, but not to a better show. In the end we can only wonder if Revolution will indeed improve and find it's proper footing and leave the nonsense behind. One can hope.